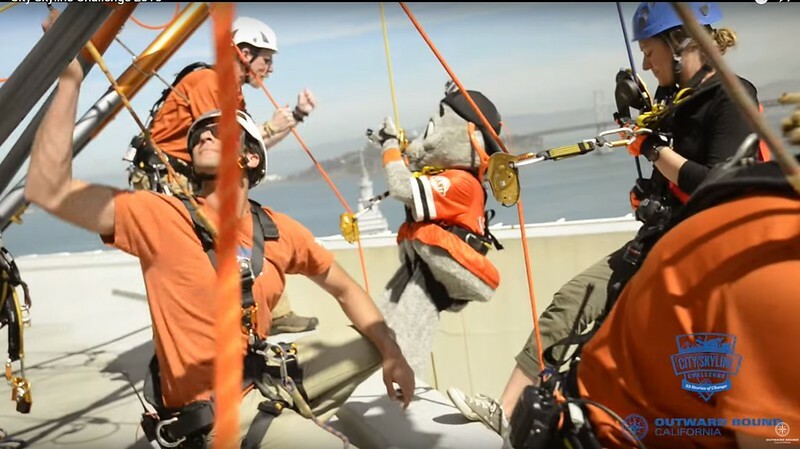 Now, with just one click, you can get the chance to rappel off a 200+ foot building in the Embarcadero in San Francisco on March 18th—simply for the good deed of sharing this post about Outward Bound’s awesome work on Facebook or Twitter. This event normally requires participants to raise $1,800, but we’ve done that for you! Because Planet Granite donated $20,000 to Outward Bound on behalf of our members this year, we received a rappelling spot and we’re raffling it off to you. Be: a Planet Granite Member (participant restrictions apply, please view their website for details). Share: this Outward Bound blog post between now and March 10 on your Facebook or Twitter feed. Follow: us on Twitter or like us on Facebook. 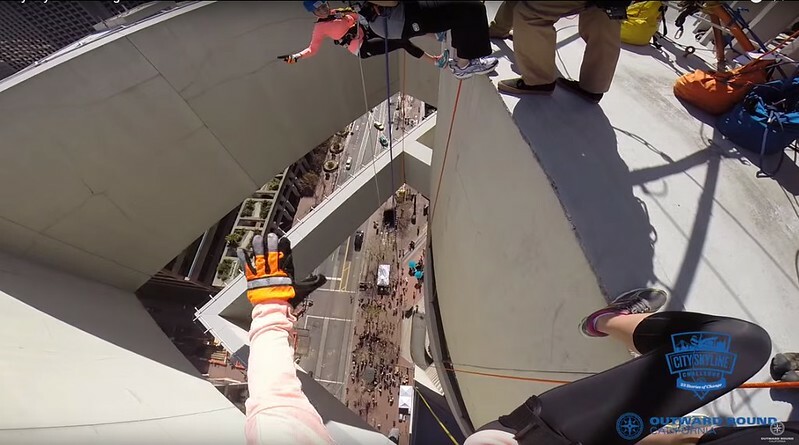 On March 10, we’ll randomly pick one sharer to join us on the rappel! This year’s donation adds to a total given of more than $80,000 since 2012. The City Skyline Challenge is open to spectators, and thousands will be there at the SF Hyatt Regency, doing free slacklining, watching rappellers, and enjoying the day. Even if you don’t win, if you donate, you can hang out with Kevin Jorgeson at Outward Bound’s “Party at the Edge” on March 17th, with bluegrass and delicious Lagunitas beers. Getting a ticket requires a $75 donation. A free option is available for taking part in all the fun of the Outward Bound celebrations March 17 and 18: volunteer to help out with the events. Or if you’d like to give, you can contribute in any amount, large or small, to the Bay Area Youth Leaders rappel fund, a group of high school students raising money for the Outward Bound mission. Thanks for reading. Now, on to the sharing! And, rappelling…. *Winner is responsible for getting to and from the activity and any other needs – this raffle only provides a ticket to rappel. Must meet all participant requirements as detailed on Outward Bound’s website. By participating in this contest, participant is giving approval for Planet Granite to post their name and any relevant story info on our website and social media pages. Planet Granite is not affiliated with Outward Bound. We are promoting this event on their behalf. Participants must assume full responsibility for these activities and their own safety.